This is a pre-configured CRM system that you can import into your CRM system to transform it into a Donation Management system. The terminology of the base system has been changed to match the terminology of the industry. The schema has been extended to cater for the additional data that is relevant to the industry. 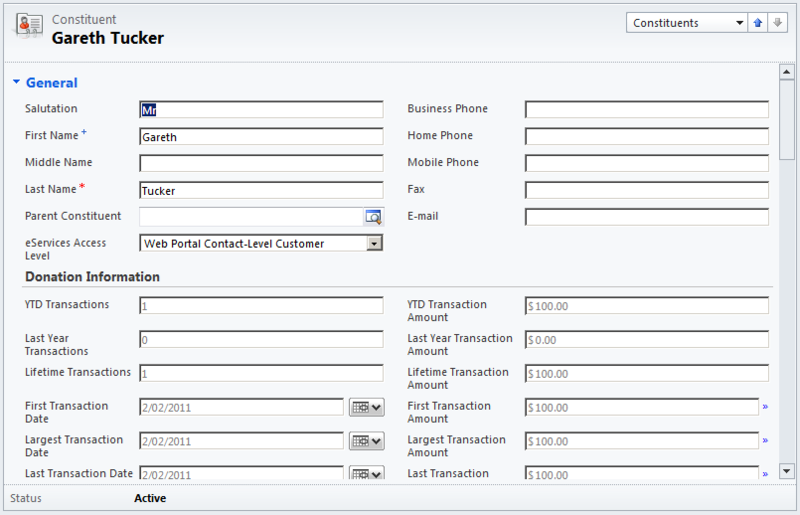 And the user interface, security model and business logic has been configured and extended to support the business processes. It is a common misconception that Microsoft CRM is an out-of-the-box product. It’s better thought of a blank database. You need to configure that blank database into the end product you require. Now Microsoft CRM comes with a bunch of typical CRM functionality so you get more than a blank database, but if you’re not extending the schema, changing the user interface and extended the business logic you’re not really using the product. 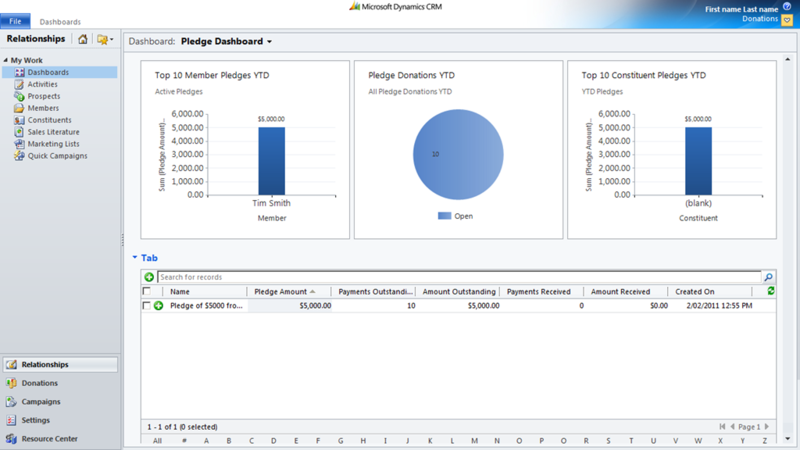 Where Pledges and Donations are received from Constituents and Members and associated to Programs and Campaigns to enable tracking of Campaign/Program effectiveness. Plus all the stuff that ships with CRM is still there – e.g. lead management, mail merge, activity management, etc. Now don’t think for a second that this is an out-of-the-box solution for you. Just like a non-configured CRM installaton you still need to superimpose your requirements over this. 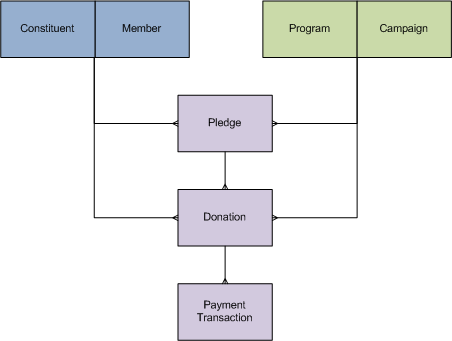 If your requirements are Donation Management then this solution will give you something more relevant to refer to during your design workshops and you might like to build your solution on top of it. This entry was posted in Uncategorized and tagged 2011, crm, donation, donation management, member, pledge on February 2, 2011 by Gareth Tucker.